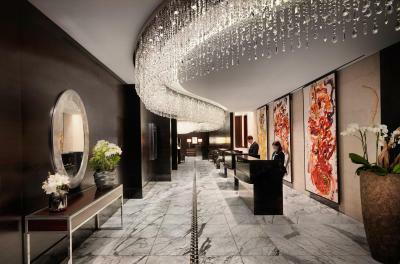 Lock in a great price for Jumeirah Frankfurt – rated 9.2 by recent guests! Luxurious, too much, expensive but friendly. Clean and high end.. The staff were very helpful and courteous. Extended more help if possible. Special mention to staff, Zbigniew who was very accommodating and kind. Great people. They are the best! They aim to please all the time. The staff was very friendly. The breakfast was great! The rooms are big and modern and very very friendly staff. Near to the shopping area and a lot of restaurant around. Highly Recommended. Free mini bar for one time. The hotel connects to a huge fitness center that offers 25 meter pool, and massive facility with more than you can imagine, and guests have free access. Super comfortable beds and amazing rooms! Would love to come back and visit other Jumeirah Hotels. 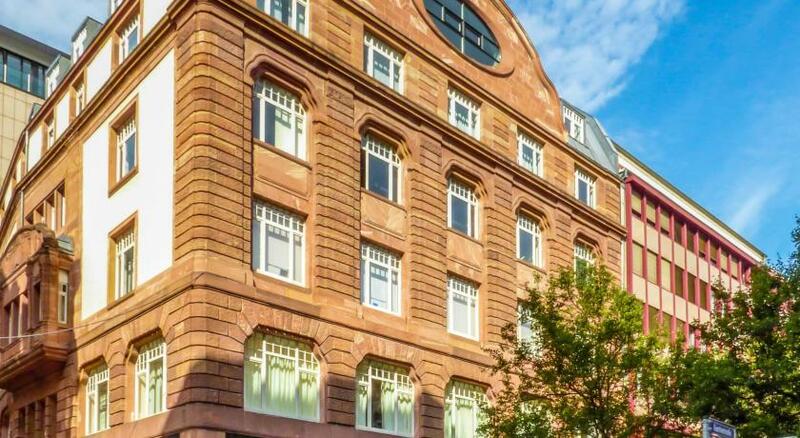 Jumeirah Frankfurt This rating is a reflection of how the property compares to the industry standard when it comes to price, facilities and services available. It's based on a self-evaluation by the property. Use this rating to help choose your stay! 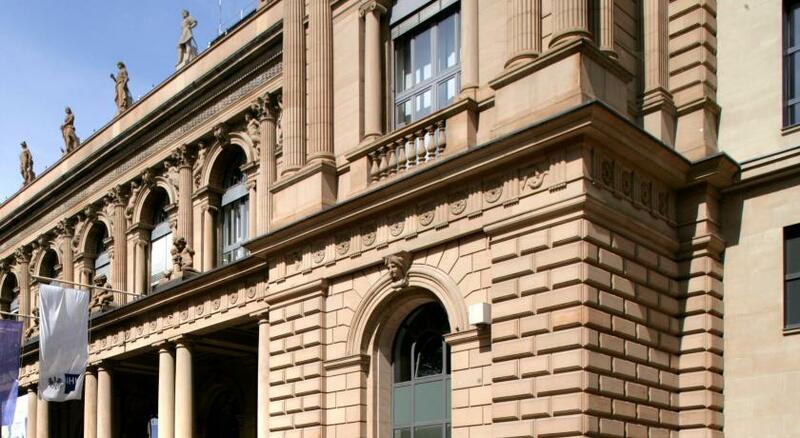 One of our top picks in Frankfurt – and a guest favorite. Tropical rain showers and 2 saunas can be found in the Jumeirah’s spa area. Guests enjoy unlimited access to the Platinum Fitness First Health Club with indoor pool, located in the neighboring building. Seasonal specialties are served in the elegant Max On One restaurant with walk-in wine cabinet. 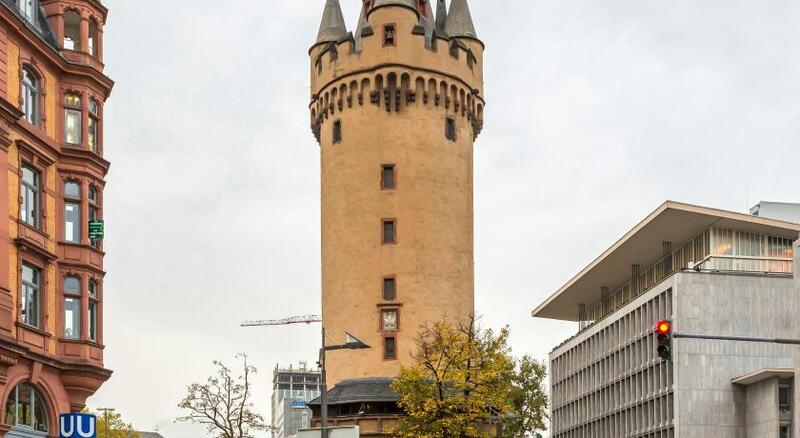 Hauptwache Underground and S-Bahn Train Station is only 350 feet from the Frankfurt Jumeirah hotel. The Römer Square is 2,300 feet away. 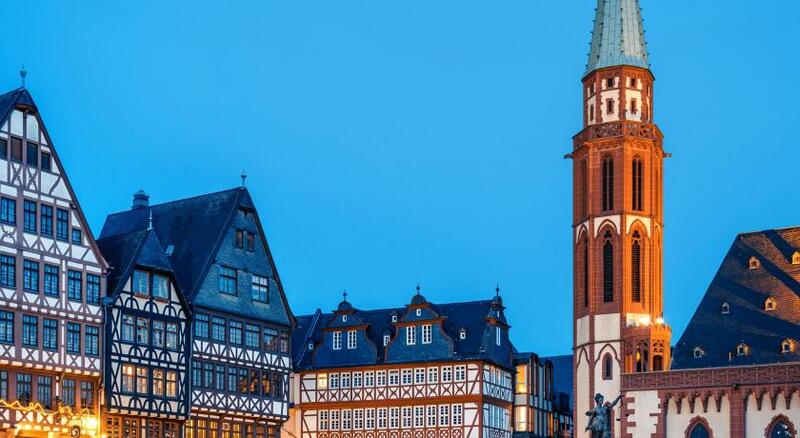 Frankfurt City Center (Old Town) is a great choice for travelers interested in clothes shopping, shopping and old-town exploration. When would you like to stay at Jumeirah Frankfurt? This spacious room has modern interiors, an iPod docking station and hot drinks facilities. Public parking is available on site (reservation is not needed) and costs EUR 32 per day. This spacious room has modern interiors as well a view of the Frankfurt skyline from the living/working area. Spacious room offers modern interiors, an iPod docking station and hot drinks facilities. This room offers extra space and contemporary German art. The bathroom features a walk-in rain shower, a bathtub and a flat-screen TV in the bathroom mirror. Large Junior Suite featuring spacious bedroom/lounge/work areas. Flat-screen TV within bathroom mirror. Offers views of Frankfurt skyline and spacious bedroom/lounge/work areas. Flat-screen TV within bathroom mirror. This large, exclusively furnished suite has a separate living/sleeping area and a walk-in closet. The bathroom can be accessed directly from the living area. This suite features a soundproofing, electric kettle and satellite TV. 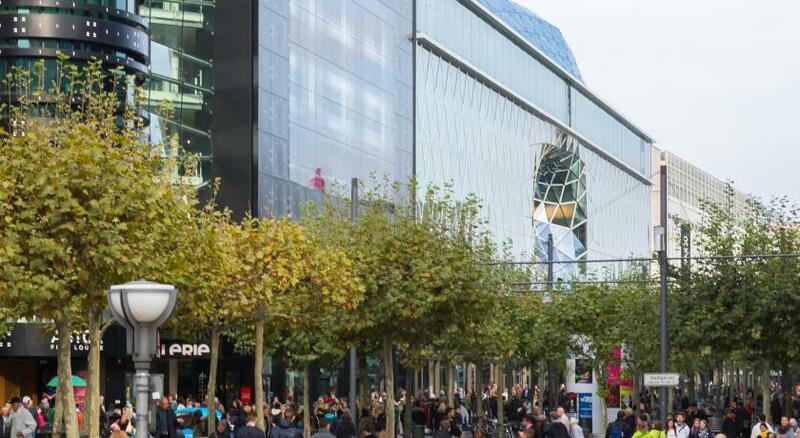 The striking Jumeirah Frankfurt is located right in the city centre– just a few steps away from the popular ‘Zeil’ shopping street and the financial district. Jumeirah Frankfurt offers 217 spacious guest rooms and suites, with amazing views across the city. Just as delightful is this hotel’s refreshing approach. From the original artworks by local artist Hartwig Ebersbach throughout the hotel, to the beehives on the roof that produce our own honey, at Jumeirah Frankfurt we do things a little differently. Everything you experience here is a taste of the very best the city can offer, whether you’re dining at the fabulous Max on One restaurant, enjoying a Salt Body Massage at Talise Spa, or attending an event in our magnificent Ballroom. With little touches like your welcome drink and oshibori upon arrival and complimentary Wi-Fi throughout the hotel, everything we do is designed to make your stay a constant delight. 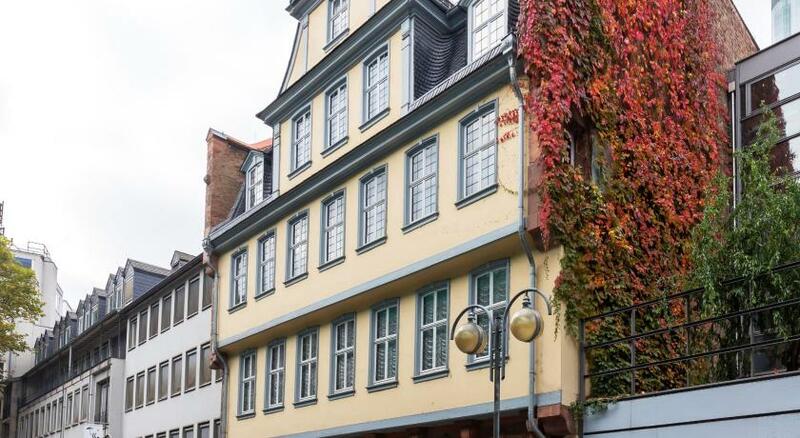 Hotel surroundings – This neighborhood is a great choice for travelers interested in clothes shopping, shopping and old-town exploration – Check location Excellent location – show map Guests loved walking around the neighborhood! Frankfurt's old town was almost completely destroyed during World War II. In 2017, the city reconstructed many of its magnificent half-timber buildings at enormous expense. 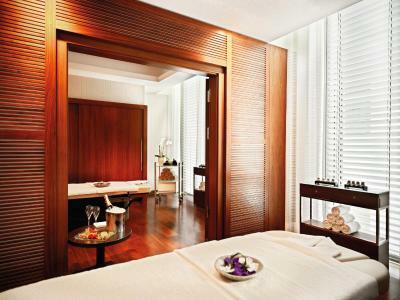 House Rules Jumeirah Frankfurt takes special requests – add in the next step! Jumeirah Frankfurt accepts these cards and reserves the right to temporarily hold an amount prior to arrival. The excess. We do not need all this. The bathroom can be seen inside the bedroom, but can actually be fixed by an automatic blinds. Quite expensive, but well worth it. Check-in was seamless, the elevator was not the usual, but one can easily figure out how to use. Room was adequate in size, lots of space for your clothes in the closet. Bathroom was also quite spacious, with separate shower and bathtub. The toilet is also separated from the shower/bathtub area. Breakfast was good- lots of option. The staff was something else in all areas- reception, dining, lobby. Special mention to Ibrahim at the lobby(concierge) and to a particular waiter at the dining area who was originally from Poland. I asked for an extra pillow, and 2 pillows were given. And most of all, they accomodated our request to leave some of our luggages with them while we went to Croatia for a few days before returning to the hotel. That was a big plus, because our group initially booked in other hotels but would not allow us to leave luggages for safe keeping. Location was perfect at the city center, everything we wanted was within walking distance. The hotel design and it’s admosphere . Staff perfect and friendly. Our stay was very disappointing from a service perspective. I had told the hotel in advance that we were coming for our honeymoon but, upon arrival, there was nothing at all to mark this, not even a note... This was in marked contrast to the other (substantially cheaper) hotels at which we had stayed during our trip. The hotel certainly did not go the extra mile and this cast a shadow over our arrival. This is not five-star quality. Further, on the two occasions we tried to sign off something on our room account, we were told we had to pay cash immediately. This was despite having been forced to pay a deposit of €100 in respect of “extras” on arrival (which I also find objectionable). On one occasion, I was summoned back to the restaurant after I had started going to bed to settle the bill. This came across as very rude when we had provided a deposit and made it difficult to relax. It also makes the hotel look “money-grubbing” and not trusting. We booked an expensive meal in the restaurant Max on One. The food was very tasty (albeit quite heavy at times) but the service was appalling. Clearly the staff are not properly trained. We were asked about our allergies three times and offered hot towels twice, showing a distinct lack of communication. They also appeared to walk around aimlessly without paying us proper attention. The service was very slow and sadly this was repeated the next morning at breakfast when we had to wait 15 minutes for a cup of coffee. When this was finally rectified, too much coffee was delivered. Further, the loo in our room would not flush properly. This is not a luxury service. I would have liked to complain when I checked out but the lady at reception did not ask me whether I had enjoyed my stay, so I had no opportunity to say so. We will not be returning and would really like an explanation and/or refund. The view from our room on the 14th floor was stunning. We also liked the bathroom facilities with a nice big bath, the coffee maker and the comfortable bed. The breakfast buffet was very good. Every detail is taken care of. A great experience. Would highly recommend. The breakfast is really good with a lot of choices. Staff are friendly. Hotel location is perfect. Overall, it is a comfort stay. Very clean comfortable room. The staff is very professional. Excellent location. Quite expensive, but with its location, service and cleanliness- worth it!